At Goose Green we take London’s current poor air quality very seriously. As well as being involved in longer term projects at local government level, we are also one of the first schools in the area to have taken a number of proactive steps to help protect our current pupils and members of staff. The Green Screen Project – the installation of a 2.2m high pollution barrier of pre-grown ivy between the school’s playground and the main road (completed in February 2018 and supported by the Mayor of London, Dulwich Society, Winkworths, Suzanne James and others). Green Screens are proven to reduce the toxic levels of NO2 by 30-40% and particulate matter (PM) by 40-60%. See below for videos of the "Big Dig" and celebration assembly. The Air Purification Unit (APU) Project – London’s poor air quality is not only an issue outside, indoor air pollution can be even worse. To protect our pupils and staff whilst they are inside the school, we have installed state of the art APUs in each classroom (supported by Southwark Council, Marylebone Services and Suzanne James). APUs are proven to remove 99.9% of air pollutants, including PM10 and PM2.5. As well as combating London’s toxic air, APUs also remove allergens and harmful bacteria (which benefits those with allergies), and reduce the spread of bugs and viruses. Playground and Roadside Greening – to further support our Green Screen Project, we are also planting more trees, shrubs and plants throughout the playground (including edible features) and we have this year received further funding from the Mayor of London's Greener City Fund to do so. Cycle and Scooter Storage Improvements – to encourage more children to cycle or scoot to school. Eco-Warriors – a team of children elected from each year group meet weekly to discuss environmental issues, start and run environmental initiatives and feed back to their classes to enable all pupils to help. Child-led environmental policy making. A recent eco-warrior initiative was to work with Southwark to create a walking map of the area surrounding the school to a) reduce congestion; b) increase levels of exercise; and c) reduce obesity levels. Gardening Club – we plan to set up a lunchtime Gardening Club (in the Autumn term). This will encourage children to appreciate the powers of nature, grow their own food and take responsibility for their own green infrastructure. Curriculum development – The school reviews the curriculum annually in order to bring in opportunities to: a) understand pollution and ways to minimise it and its impact; b) use the greening of the playground to study habitats (e.g. of minibeasts); c) run science projects to monitor air quality; d) study plants; e) grow edibles (and use them in class and in the school’s kitchen). Clean Air Day – an event to raise awareness and educate families. Goose Green School is an official Clean Air Day supporter. Walking Bus – a Walking Bus scheme to discourage driving to school and support the community. 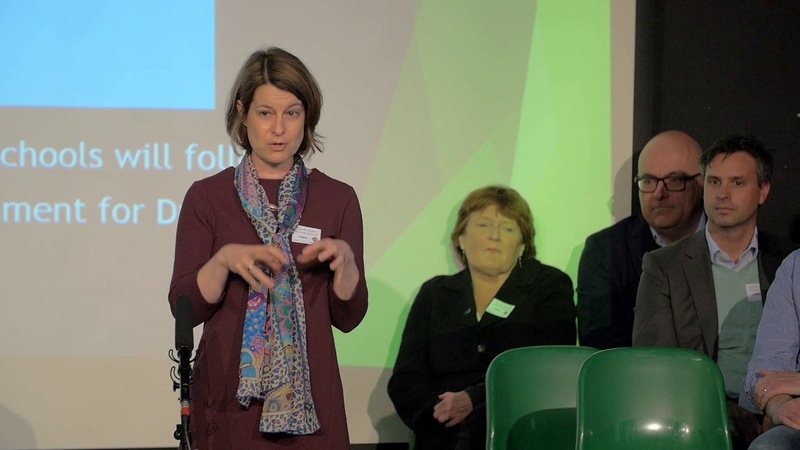 Local involvement – active involvement in both the Cleaner Air for Southwark’s Schools Network and the newly formed local Inter-School Air Quality Group. Park and Stride – to create a relationship with a local car-park owner and encourage parents who need to drive to park there and walk the last few hundred metres. Creating links, raise awareness and keeping air quality on the political agenda – continuing discussions on current issues with the press and also within our local community. If you have any questions or you feel you would like to help on any of the ongoing projects, please contact the office, who will put you in touch with the relevant staff member. 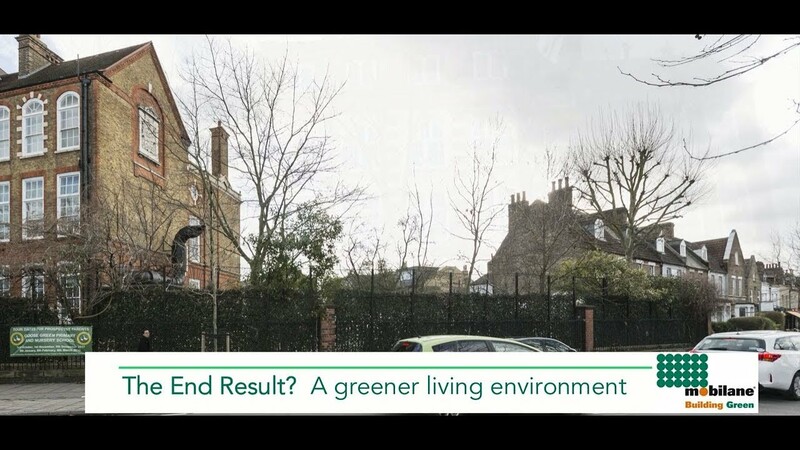 "Primary School Air Pollution Measures"
We have two videos which capture the spirit of the Green Screen Project brilliantly.